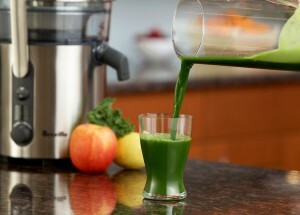 By now, it’s very likely that you have already heard or read about words such as juicing, green juices or juice fast. It is said that celebrities like Jennifer Aniston, Drew Barrymore and Sarah Jessica Parker have tried it. Let me pinpoint that, according to the title of this page, my approach within the topic of raw juices is that everyone should try juicing for a better health, at least once in a lifetime. In fact, the first time I found something about juicing the terms I googled were not exactly “juicing for a better health” but they were related to health indeed. I was searching for natural ways of decreasing high levels of transaminases (enzymes whose activity is often measured to determine liver function) since a blood test had revealed that mine were a little high. Then I got more interested in juice fasts and I started to read books and articles written by medical doctors, such as Sandra Cabot. They all praised the wonders and benefits of drinking freshly pressed fruit and vegetable juices so I convinced myself that it could enable me to kick-start a new, healthier lifestyle as well as give my system the detox that it was crying out for. It turned out that, for me, losing weight was suddenly the side effect of taking good care of my body and my health. When I read the book of Sandra Cabot, Raw Juices Can Save Your Life, I finally understood that having fresh juices would be, for me, a matter of reclaiming my health and getting increased levels of energy and vitality. Medical Doctor Sandra Cabot assert that “raw juicing can save your life” (Cabot, 2001, p. 8). I felt moved by the story she tells about her grandma, Susannah, who was struck with a very severe kidney disease. There was nothing further the doctors could do to save her life. But Harry, Sandra’s grandpa, started to give Susannah a glass of raw vegetable juice every hour and the miracle then occurred: over the next 6 weeks she gradually regained her health. I’m sure that, properly done, a juice fast can be a good catalyst to permanent weight loss and to a healthy lifestyle. I’ve tried it myself with amazing results 😉 (my transaminases went back to normal levels after completing 10 days of juicing!). Let me also clarify here that I’m not saying that juice fasts should be adopted as a permanent lifestyle or that you should consume nothing but juice, who on earth would want to? And, of course, you should always consult with your medical practitioner before starting any weight-loss programme, or if you have any medical condition or concerns about your health. Read more on how to lose weight in the new Happy Coaching’s book about juicing! Lose weight and keep it off, forever! Very informative post. I have been trying to lose weight for a long time. But always couldn’t keep up with a diet plan. This Juicing way looks promising. Thank you for sharing it! It is! Thank you very much Demi. Juicing helped me with my liver and, as a side effect, I got rid of a lot of pounds that I haven’t regain 😉 Give it a try! Copyright © 2019 Lose Weight Without Diets All Rights Reserved.